Changes come into the orphanages slowly but surely. Not without the support of the Irish volunteers from Burren Chernobyl Project. 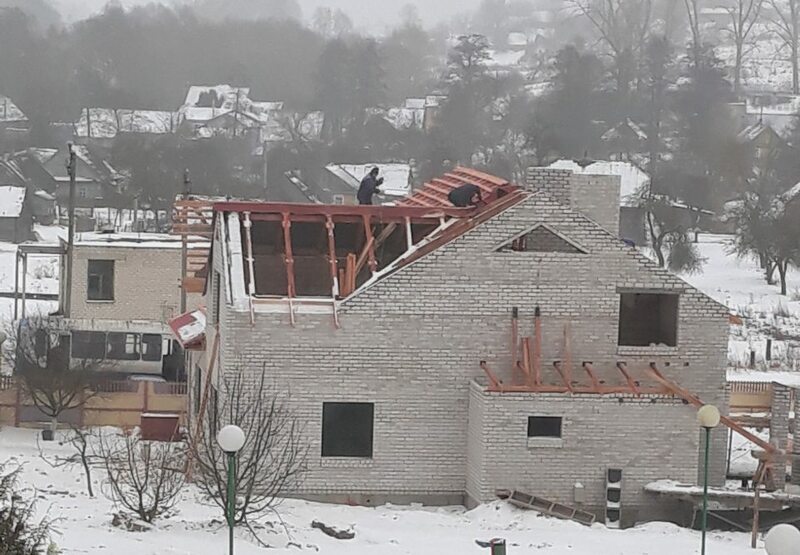 Positive experience of the independent living houses in Yazovki (Cherven psycho-neurological asylum) was taken as an example for building a half-way house in Gorodische for the more able young people who live in the orphanage. With fantastic financial support from Ireland they have already managed to get the main work done. 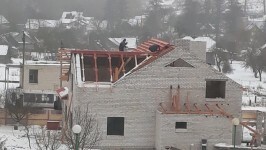 The roof is already in process, so it won’t be long now! We say many thanks to everyone who has contributed towards with lovely idea and an amazing project that will make such a big difference for the young people, who deserve a better chance in life. Well done to all the volunteers and many thanks to Burren Chernobyl Project!!! We will keep you posted about the progress and with our good news!